Rugby Australia has today confirmed the Qantas Wallabies will take on Manu Samoa in a farewell Test prior to the team’s departure for Japan at the new Bankwest Stadium in Paramatta on September 7. 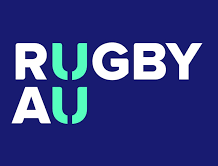 The Sydney Test, secured with the support of the NSW Government through its tourism and major events agency Destination NSW, has bolstered the international Rugby calendar in Australia with the Qantas Wallabies and Buildcorp Wallaroos both now set to host three Test matches in 2019. Offering Qantas Wallabies fans a final opportunity to see the men in gold in action before they take on the world in Japan, it doubles as the team’s only match in Sydney this year. The clash sets up an anticipated rematch of the infamous Test between the two nations eight years ago, prior to the 2011 tournament in New Zealand. In a result that shocked the Rugby world, a little-known Manu Samoa outfit used a physical barrage to ambush the Wallabies at ANZ Stadium in Sydney, notching their first Test victory in five attempts against the Australians. While the memory of that result faded as the Qantas Wallabies went on to a semi-final finish in New Zealand later that year, it will still be fresh in the minds of the thousands of Manu Samoa fans that erupted in jubilation at witnessing one of their nation’s greatest sporting triumphs. The September 7 fixture will also be the first Rugby Test played at the new western Sydney venue. Qantas Wallabies Head Coach, Michael Cheika said: “With the World Cup in our sights this year we really want to build some momentum to help take our game up a level or two, I think that’s really important for us. We will have a few new tricks up our sleeve this season so we might look a little different to what most people may expect. “I’d say we’ll be going into this season’s tournaments – the Rugby Championship, the Bledisloe Cup and the World Cup – as underdogs but we will be doing everything we can to make 2019 our year. “To play a team like Samoa in our take-off game for the World Cup will be perfect. They have a mix of razzle-dazzle and physicality which will be exactly what we need before stepping out against Fiji in Sapporo. In front of our home crowd in a brilliant new stadium in Western Sydney it should double as plenty of fireworks as well as plenty of fun for everyone,” Cheika said. Destination NSW CEO Sandra Chipchase said securing the Wallabies’ farewell Test exemplifies why NSW is regarded as the adrenaline sports capital of Australia. “We are delighted Sydney has been hand-picked to officially farewell the Wallabies before they head to Japan for the Rugby World Cup. Major sporting events like this are crucial to ensuring our State’s tourism economy continues to flourish; not only attracting players and coaches to Sydney, but rugby fans who are keen to witness the world’s best in action,” Ms Chipchase said. 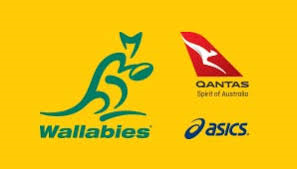 The Qantas Wallabies play two home matches in a truncated 2019 Mitsubishi Estate Rugby Championship, kicking off at Suncorp Stadium in Brisbane with a clash against Argentina on July 27 before a sold-out Bledisloe Cup showdown at Perth’s Optus Stadium on August 10. Ticketing and broadcast information for the Manu Samoa Test is still to be confirmed.